The multiple services weekend of April 14-15 saw three pastors teaching on growing deeper in God. 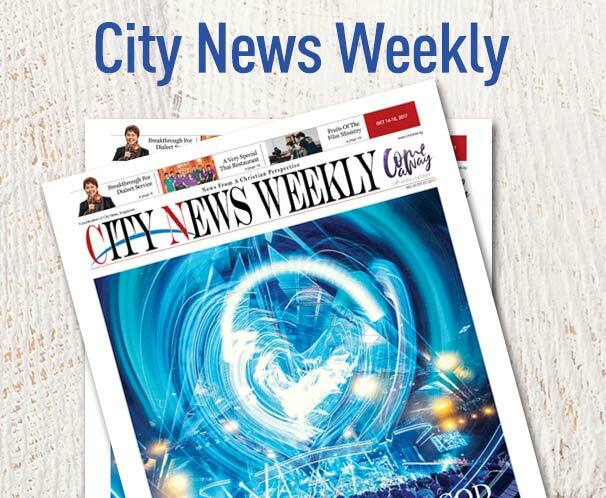 The weekend of Apr 14 and 15 was the first of three weekends that City Harvest Church is holding its weekly services at the Jurong West church campus. Each weekend sees five services (three on Saturday, two on Sunday) to accommodate the congregation. Coincidentally, all three pastors preaching that weekend shared their personal takes on how to be deeper disciples of God, delving further into executive pastor Sun Ho’s message on Cultivating Deep People. 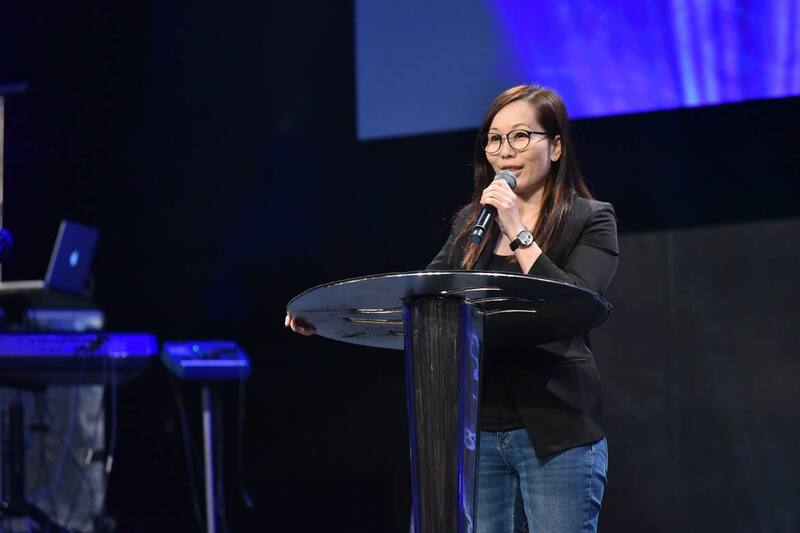 “How we can walk deeper with God in our faith?” pastor Audrey Ng posed this question to the congregation at the first service on Saturday. Reading 1 Kings 19:8-10, Ng used the prophet Elijah’s story as an introduction. The Israelites had forsaken God and killed all the prophets of God. Elijah fled to a cave in the mountain of Horeb, where he became increasingly depressed and discouraged. However, God was not interested in what Elijah’s enemies were seeking; He was interested in what Elijah was seeking in the midst of the trial he was going through. “What are you seeking in the midst of the trial that you are going through?” asked Ng. People go to their “caves” in three instances. One is when they cannot fix their problem. Two is when they are drained emotionally and three when they feel stuck. When they are in their “cave”, they would often think that others have more. They feel alone and anxiety kicks in. Matthew 6:33 says to “seek first the kingdom of God”. Ng urged the congregation to never be complacent, but instead strive to experience God more fully. Seeking God, firstly, is loving Him wholeheartedly. All the things crying out for attention are important and necessary. Yet in everyone’s life, there is one fundamental thing that drives everything else. For some, it is family and their ability to provide for their children, for others it is financial security. Secondly, seeking God is loving Him with one’s mind. Some people seek God only when they run into a problem. “What if God’s presence is not about fixing our problems but about fixing our perspective?” Ng suggested. She gave the example of Moses and the people of Israel at the Red Sea. The Israelites’ perspective was that this was a dead end and they were all going to perish. From God’s perspective, however, the Red Sea was a path of dry land for his people and a means to destroy the enemy. In scenarios such as these, humans often see defeat but God sees victory. Elijah’s perspective was that he was left alone was left, but in God’s perspective, there were still 7000 people who had not served Baal. In 1 Kings 19:11-12, God told Elijah to stand before Him. However, the first thing God did was to show Elijah where He was not: He was not in the wind, the earthquake or a fire. Instead, God was in the gentle whisper that came after the fire. Elijah only looked for God in dramatic situations, but God was not in those. Ng shared that in life, God is often the still small voice, and it is important to learn to listen for that voice. She concluded the sermon by reminding the congregation that when it is hard and seemingly impossible to see God in the darkness of one’s situation, God is still there. At the final two services on Saturday, pastor Wu Yuzhuang delivered a timely message on passing down of the baton to the next generation. At the beginning of his message, Wu quoted Exodus 3:6 and reminded the congregation that God is a transgenerational God. “The blessings, anointing, calling and destiny were passed down from generation to generation,” he said. Wu emphasized that it was important that every generation is taught who God is and what He has done for His people. 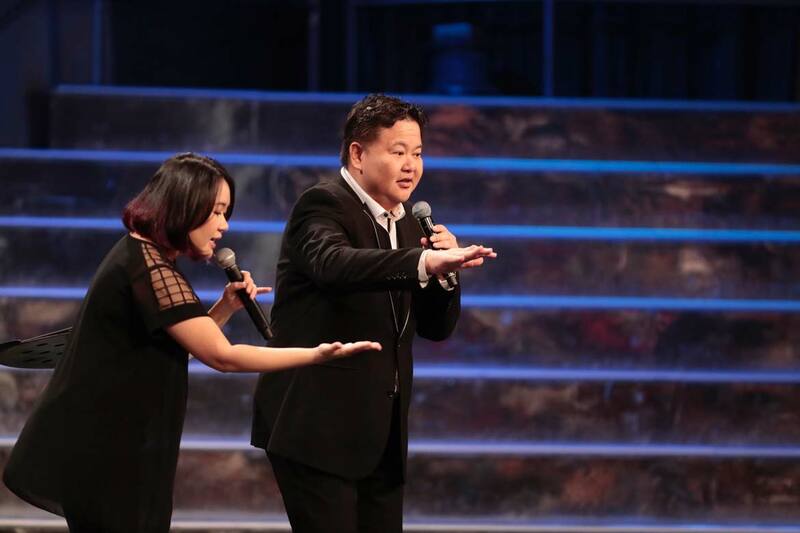 Speaking to parents, spiritual leaders, and the older members of the congregation, Wu said that it was their responsibility to pass on the DNA and the spiritual values to the next generation. In Exodus 29:29-30, Moses gave the instruction that Aaron was to pass on his garments to his son, who would then become the priest of his generation. When Aaron died, Moses gave his garment to his son Eleazar, and Eleazar took on the office of a priest (Num 20:28). Wu shared three kinds of garments that can be passed down to the next generation. First, there is the garment of faith. Reading 2 Tim 1:5, Wu described how Paul saw Timothy maturing in faith and attributed it to his mother and grandmother. “That garment of faith gets transferred: Timothy’s mother and grandmother must have exemplified and taught Timothy how to live a life of faith,” Wu extrapolated. Secondly, there is the garment of praise. “Do you praise God when you are in bad times and good times? How do you praise God?” asked Wu. The next generation watches how their elders praise God when they are discouraged, or when they are down and tired. That will influence their attitudes towards praising God. Lastly, there is the garment of ministry. 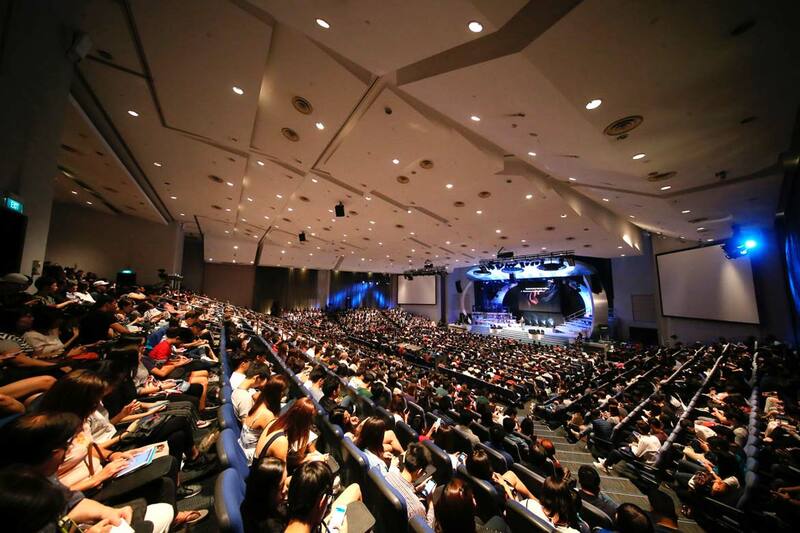 Since the early days of City Harvest Church, the congregation is taught that every member is a minister. Wu went on to share two testimonies of members who served God faithfully. One was a couple, Chua Kim Peng and Ng Lee Keng, who went for their first mission trip in 2012 as part of their School of Theology curriculum and witnessed the power of God in the trip. They felt God calling them to continue serving in the mission field. Despite many challenges, the Chuas answered the call and organized trip after trip. In April 2016, the mission team became an official ministry in CHC and the couple was appointed the volunteer ministry heads of the ministry. The Chuas have served in 46 mission trips in the last five and a half years. In closing, the pastor encouraged the congregation to hold on to these “garments” and pass them on to the next generation. At both services on Sunday (Apr 15), pastor Choong Tsih Ming preached on the importance of experiencing the redemptive power of God. He used the life of John Mark, the cousin of Barnabas and the author of the Gospel of Mark, as an example. Reading Mark 4:26-29, Choong noted that the parable of the growing seed is only found in the book of Mark. It describes what the Kingdom of God is like: everything starts as a seed that must be sown and only God can give the increase. To understand why this parable was found only in Mark, one needs to understand the author. Mark had a great start in the ministry, but he quit shortly after when a mission trip he was on became too tough. When Paul and Barnabas wanted to visit the city again, Barnabas, which means “son of encouragement” (Acts 4:36), wanted to forgive John Mark’s failure and to give him another chance. Yet, Paul took the more rational view: he said that Mark lacked resolve and fortitude, qualities that were important to mission work. They got into an intense argument and eventually went on separate journeys. However, years later, Paul called Mark a “fellow laborer” (Philemon 1:23-24). Near the end of his life, Paul sent a request to Timothy, asking him to send Mark (2 Tim 4:11). “The key to a great ending is to never give up!” Choong said. As Mark remained faithful to Jesus, he matured. Choong suggested that when Mark was writing the parable of the growing seed, he was teaching that there is no overnight success in the Kingdom of God. “Like Mark, we need mentors and fathers in the faith to walk with us in our Christian life,” he said. Mark could have taken offense at what Paul did but because he guarded his heart and understood that it took time to grow in the Kingdom of God. As a result, he grew deep in God. Leaving the room, Choong felt indignant. The Holy Spirit then asked Choong, “So what are you doing now? Get back to work.” Promptly, Choong returned to work. 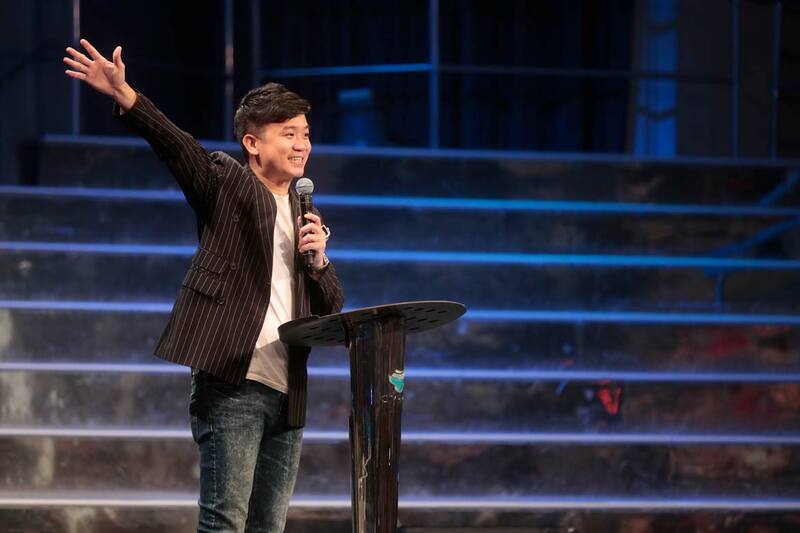 During the altar call, Choong encouraged the congregation to lift up their burdens and bitterness to God, trusting Him to work a miracle of reconciliation in their lives.